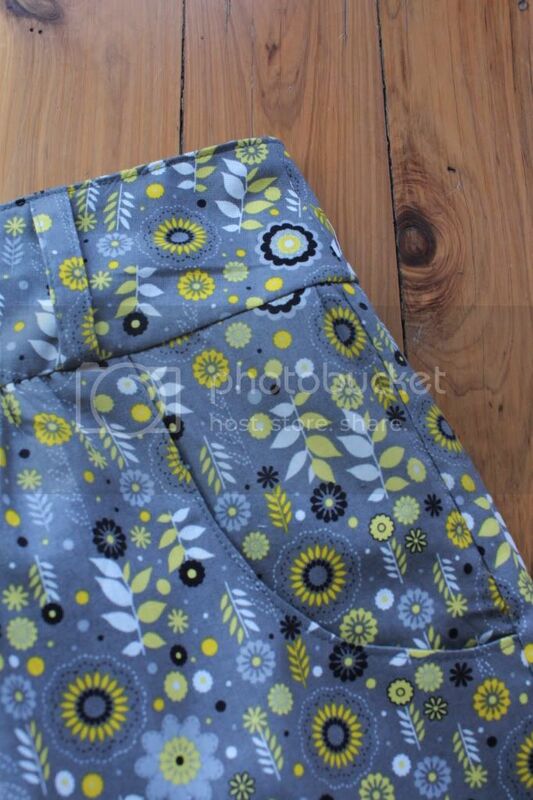 Yesterday I signed up for CurlyPop's "Make it in May" skirt sew-a-long. With a pattern already in mind and the fabric stashed away for some spare time, Liam and I decided to do some sewing. Now his sewing means cutting up random pieces of fabric, then using his sewing machine (the lid to my machine) and sewing them together. This boy is a crafter... cooking, sewing, even gardening make him so happy. Heck he even likes to vaccum. The Good: Back in 2011 there was a sew a long over at Noodlehead for this skirt and there were so many lovely skirts that I got this pattern stuck in my head. It's easy to see why so many people joined up and were making them, it's really a great pattern with detailed instructions. Classified as a "learn to sew" pattern, it's a great step up from basic sewing with a lovely skirt at the end. Now in saying how great the instructions were, by the time I got to sewing on the band and zip, I kind of just did what I know, but it worked out in the end. I based my sizing on my waist and used the recommended size and it fits well. Once the pieces were all cut out, I had most of the sewing done in about an hour. The bad: nothing. Good size, great instructions, quick and simple to make. Now that's finished and it's only day two of the sew-a-long, I think I might find another skirt to make... maybe a maxi in some grey jersey I found in the stash the other day. Gorgeous!!! 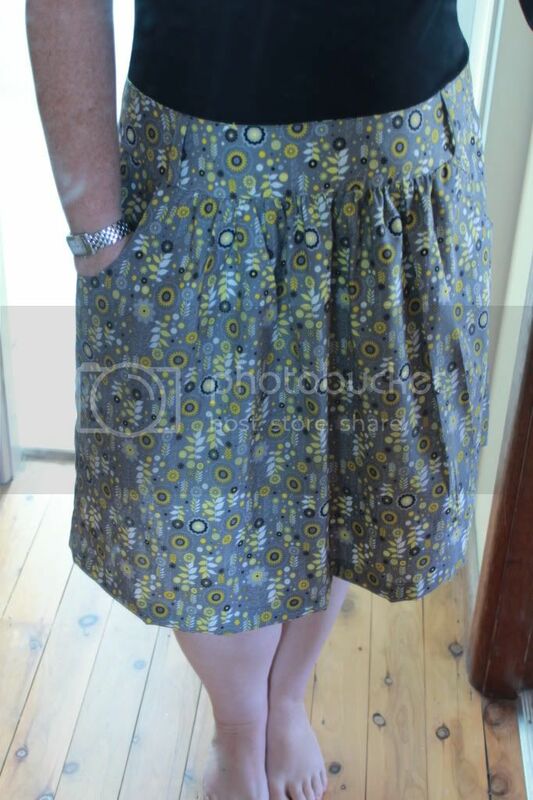 Even better is that it's the style of skirt that suits my shape too and it has pockets. Adding it to my 'want' list. Lovely! Nice pattern, lovely fabric and wonderful that the kids left you in peace to make it. Lovely skirt and soooo quick - must have been the help you got! I'm inspired and have officially made today 'pull my finger out & make a skirt day". It's so gorgeous! I'm adding the pattern to my 'want' list! I adore that fabric, I've picked it up and put it down a few times.. it's perfect for this skirt! Well done! Nice - great fabric for that pattern! Oh wow! You are FAST! Love the skirt. I wonder why we aren't whipping up skirts like this all the time, since they are so quick?